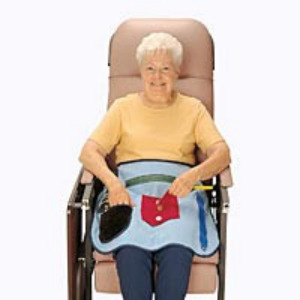 Activity Apron by Posey designed to help Alheimer's patients with forgotten everyday tasks. Have a loved one who spends prolonged time in a chair? With bright colors and varying textures the Activity Apron provides the perfect stimulation for a person with Alzheimer's. 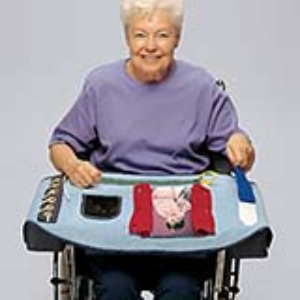 The Activity Apron is designed to help exercise fine motor skills and repair memory connections. The apron surface provides tactile stimulation, shoestring thread, and button manipulation. 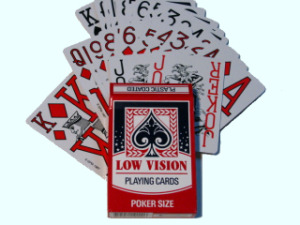 There is a center plastic pocket that holds a familiar picture of loved ones. Ties around the waist like an kitchen apron. Machine washable for maximum durability.